GOP Sen. Ben Sasse Writes AG Jeff Sessions: Why Aren't There Any Charges Against Julian Assange? - Joe.My.God. GOP Sen. Ben Sasse Writes AG Jeff Sessions: Why Aren’t There Any Charges Against Julian Assange? 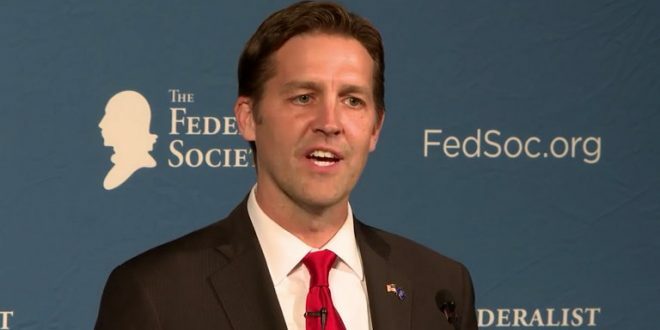 Sen. Ben Sasse seems none too pleased that the Trump White House won’t answer what the Nebraska Republican feels is a straightforward question: Should WikiLeaks founder Julian Assange be behind bars? Sasse wrote to Attorney General Jeff Sessions on Thursday, demanding to know whether the Justice Department believes Assange — whose WikiLeaks recently dumped a trove of documents that detailed the CIA’s alleged surveillance tactics — broke the law and if the feds are “aggressively” pursuing him. The senator chairs a key Senate Judiciary oversight panel. He pointedly said he was directing his request to DOJ because, in his view, the White House declined to answer the question directly. Earlier Thursday, White House press secretary Sean Spicer was asked whether Assange, who is currently at the embassy of Ecuador in London, should be in prison.